I have developed a new webinar inspired by the Sexual Harassment in the Academy Crowdsource Survey (now over 2300 entries), and I want you to know about it. Please join me on Feb. 22 at 6 PM EST; see the description below. It is free to all, but you do have to register. Also in February I’m offering the Campus Visit webinar and a newly-expanded How to Negotiate Your Academic Job Offer webinar (which addresses postdoc offers and full time non-tenure track offers as well]). You can see those descriptions below. 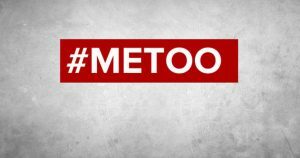 In this brand new webinar, I will discuss some things I learned from the experience of creating the Sexual Harassment Crowdsource Survey, including the range and scope of sexual harassment in academic settings (including departments, labs, research centers, campuses, academic conferences, etc. ), patterns of predation, options for victims, and recommendations to institutions wishing to combat this scourge in the #MeTooPhD moment. I will discuss the profiles of predators that emerged from the survey, common patterns of protection/enabling/silencing of victims by colleagues and administrators, and particular vulnerabilities of women of color and queer/trans women in these contexts. I will talk about why academia is so conducive to this form of harassment, and I will focus in particular on suggestions to help vulnerable populations recognize and confront harassment, in order to empower victims and potential victims to protect themselves, find both formal and informal support and make educated decisions about going public. I’ll discuss the pros and cons of filing formal complaints, the current resources and limitations of Title IX policies, and immediate steps that departments and disciplinary associations can take to lessen the occurrence of harassment on campus and at conferences. All who register have access to a recording, even if they can’t attend the live event. This webinar is free to all, but you do have to register at the link below. Other February Webinars, including this one coming up this Thursday! Thursday 2/1 at 7 PM EST/23:00 GMT. The rescinded offer is unfortunately more common than ever, and it is imperative that candidates understand when and how to appropriately negotiate an academic job offer. 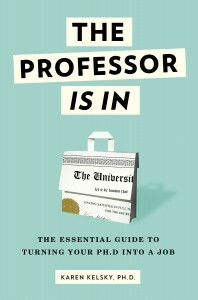 Negotiating IS still standard and expected for the vast majority of all tenure track offers, but it takes skill to do it correctly, asking for all you can while retaining good relations with the department. This webinar breaks down the stages of the academic job offer negotiation process, explains the things that can and can’t be negotiated at different types of jobs (including postdocs and full time non-tenure track positions), and different ranks and types of institutions. It provides examples of successful negotiating language as well as common negotiating errors and pitfalls. Negotiating points we’ll examine include salary, teaching release, moving expenses, start-up funds, conference and travel funding, research leave/junior sabbatical, summer salary, and the spousal hire. We’ll discuss how to evaluate the culture and expectations of the institution and calibrate requests to the institutional context. We will dispassionately examine the phenomenon of the rescinded offer. I’ll give examples from successful and unsuccessful recent negotiations that I’ve worked on through my Negotiating Assistance service. And we’ll consider special challenges for women and people from communities historically marginalized in the academy. You will have access to a free download of the event will be available for one week after the date.